Did you Rent from Poppas Music? Buy your Rental before this year and receive 20% off the cost of your Instrument. Want to Upgrade? We will credit you 1/2 of your Rental fee towards a New Instrument ! No questions asked ! Poppa's Music Music has been proud to serve the musical community of Long Island for over 25 years. We rent high quality instruments at discount prices to schools, and privately, across Long Island. We know what your child needs for band class, and we have it! From reeds, to mouthpieces, method books, strings, rosin, cases and more, we cover a full line of Band and Orchestra instruments and accessories. Poppa's Music Music carries major name brand instruments and accessories, from student to professional. We carry Yamaha, Selmer, Buffet, Bach, Rico, Vandoren and many more. We specialize in Woodwind, Double reed and Brass instruments, accessories and repair. You will receive professional service from our experienced, knowledgeable staff. We will help you figure out what you need to keep you up to pace with your lesson plans. Whether it is the beginning of your musical experience, or you are a seasoned professional, Poppa's Music Music has what you need to keep the music playing! We offer competitive pricing for school district purchase orders. Please fax your merchandise request to us for competitive pricing and availability. If you have a question, please feel free to give us a call. Instrument and accessory trials are by appointment only. Please call (516) 747-5107 ahead for availability. Poppa's Music is now offering music lessons! Our goal is to provide the most efficient music education available for our students, while providing our students with experienced and professional educators. We are prepared to educate all levels from the beginner to the advanced. 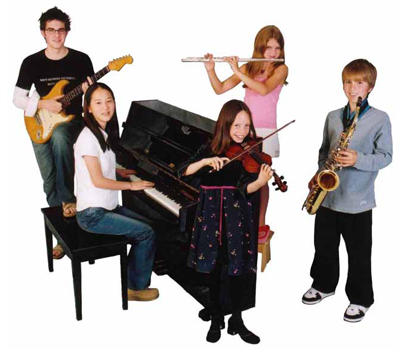 All instruments, music theory, and genres of music are available for lessons by our professionally trained teachers. Don't hesitate to call us today to set up your lesson. First lesson is free! A student registration form with a one time sign up fee is required for all new students. Restrictions Apply. Contact us for more information, and any questions. © Copyright 2014 Poppa's Music Music Inc. All rights reserved.